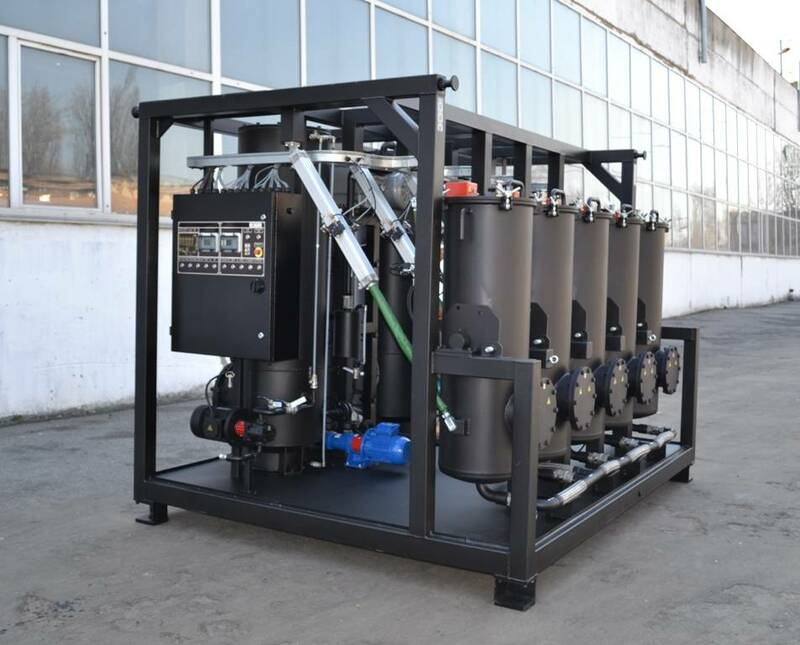 In the first quarter of 2016, GlobeCore completed the project of developing and manufacturing of the new CMM-4RP waste sorbent reactivation unit. This product us designed for restoration of waste bleaching earth sorbents, used industrially for purification of oils, heavy fuel, diesel and other petrochemical products. The waste sorbent is loaded into invertible columns of the CMM-4RP unit. The reactication process takes 20 hours. Under high temperautre and vacuum, the contaminants are removed from the sorbent. Then they pass through the exhaust system to moisture separator and to the buffer tank. When the process of reactivation is complete, the lids of the columns open by pneumatically drive cylinders, the columns are inverted and the sorbent is unloaded. exhausted waste sorbent can be deactivated. After deactivation the sorbent contains no chemicals, and can be disposed of in an environmentally safe way. The CMM-4RP can be used by companies which already operate GlobeCore’s UVR and CMM-R units, or other sorbent purification equipment.